Blog post, landing page, and website page details screens now include metrics from the analytics pipeline. These metrics include bounce rate, exit rate, entrances, and average time on the page. The old details page gave you great insight into how successful you were at turning website visitors into customers, but it didn’t tell you much about how engaged your website visitors were with your content beyond whether or not they submitted on your form. 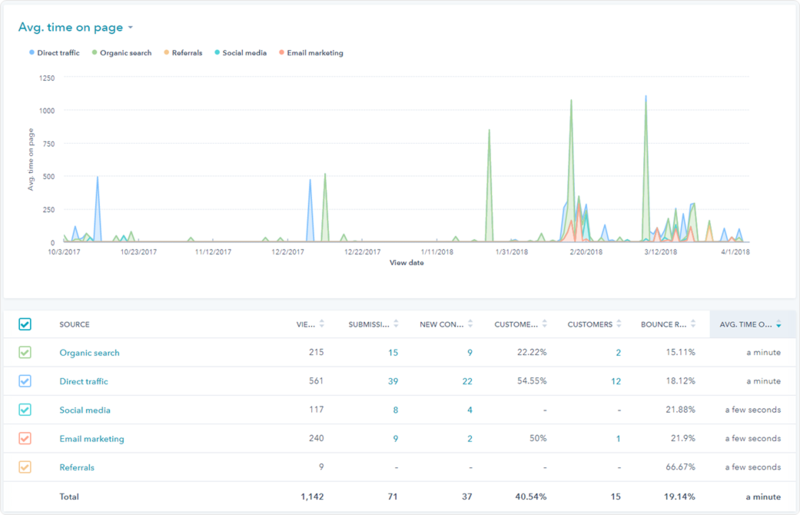 Today’s update provides you with greater insight into the performance of HubSpot hosted content by including web traffic analytics metrics on the details page. On a page’s details screen, users will now see traffic analytics metrics on the performance tab. You can also view all four metrics over time and by source.